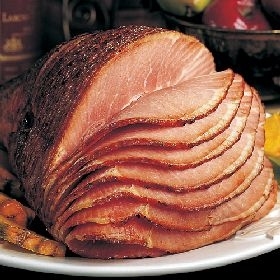 Oxford Second Presbyterian Church will be hosting a "Family Style" Ham Supper on Saturday, May 14th, from 4:30-7:30 pm, with take-outs available from 5:00-6:00 pm. Tickets are $11.00 for adults and $5.00 for children under 12, and a percentage of the proceeds will be given to the Pat Dinger Hope for Children Fund. The supper will be held in the church chapel at 65 Washington Avenue, next door to the FPWC/WCIHN Resource Center in Oxford, NJ. For more information or to order tickets, call 908-453-2224 or 908-750-4320. A link to a downloadable flier is below - please share with your friends! What is the Pat Dinger Hope for Children Fund of Warren County? The Pat Dinger Hope for Children Fund is a program that is sponsored by Family Promise of Warren County. These funds are to be utilized only when other sources of funding are not readily available within the community and are intended to be a bridge to other funding. Family Promise of Warren County encourages the community to participate in this program to help the children of Warren County. Homeless children yearn for normalcy while in this time of great transition. This fund will assist them to have as normal a life as possible while their parents work to rebuild their lives.